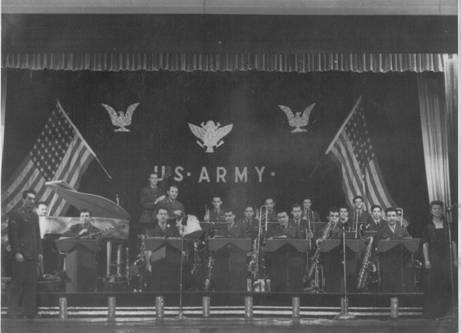 281st United States Army Ground Forces Band 1944, Sydney, Australia. Ralph Skinner on bass. 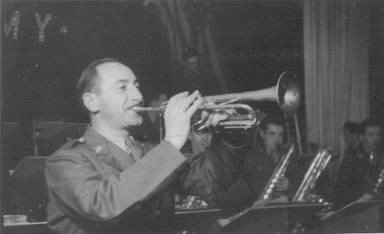 Band members were top shelf musicians in civilian life. 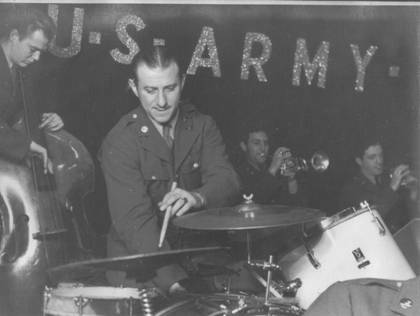 Big band drummer. 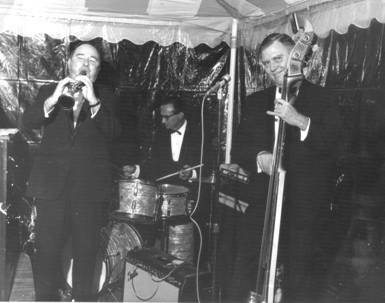 Ralph on bass (left). 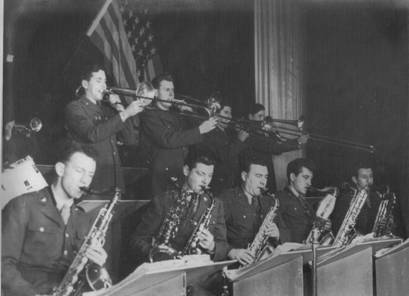 The horn section. 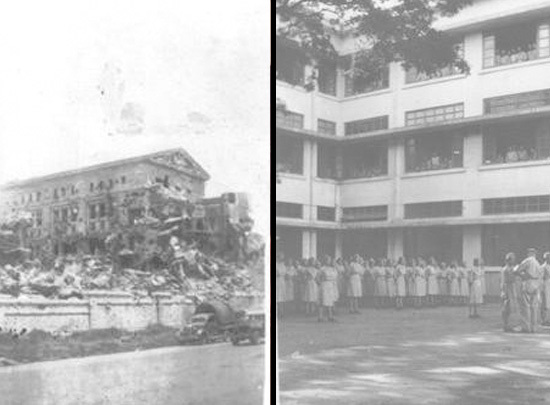 Can you imagine how great they sounded? 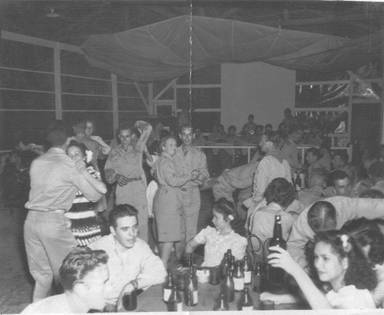 NCO club social, Manilia, Philippines early 1945. 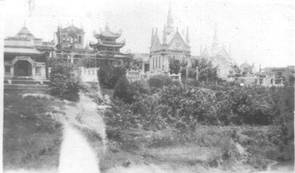 Buddhist cemetery, Manila, Philippines November, 1944. 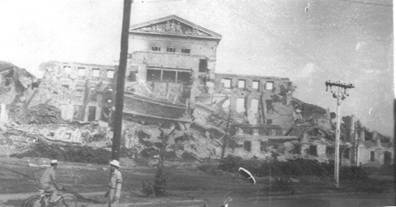 Remains of government building that Japanese defenders held out to the last man, Manilia, November, 1944. 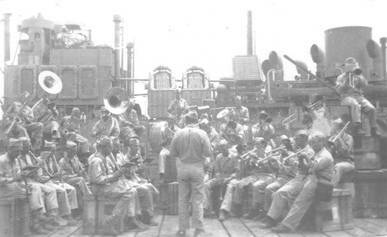 Army Band dockside, Manila 1944. 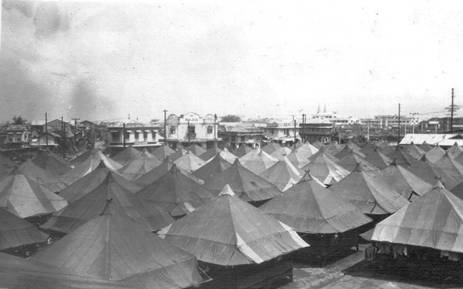 US Army camp Manila 1944. 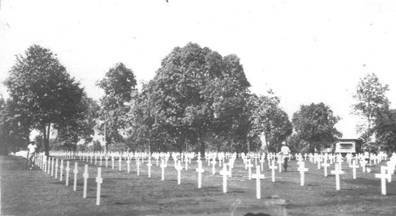 Cemetery for American service men, Philippines. 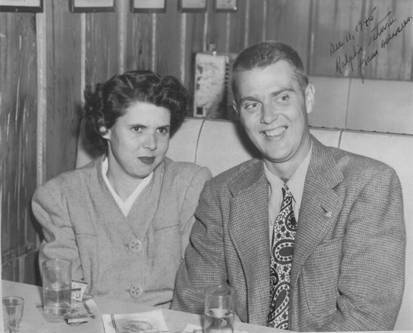 Jane and Ralph back in Florida, 1945 at Wert’s in Palm Beach (Wert’s is now Charley’s Crab). 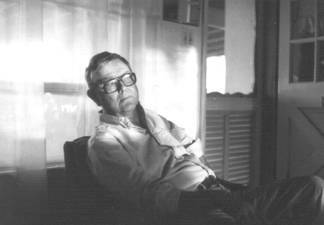 Igor was a Russian-born American Army Officer who doubled as a Soviet spy. 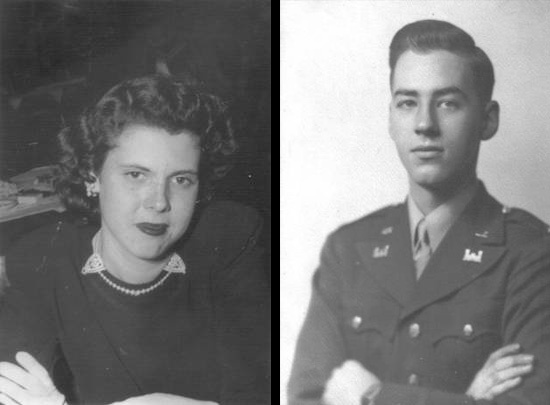 His task was to wine and dine young women working in D.C. to learn about American war plans. 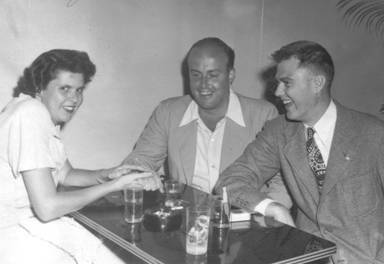 Jane later recalled that everybody knew who the Russian spies were. 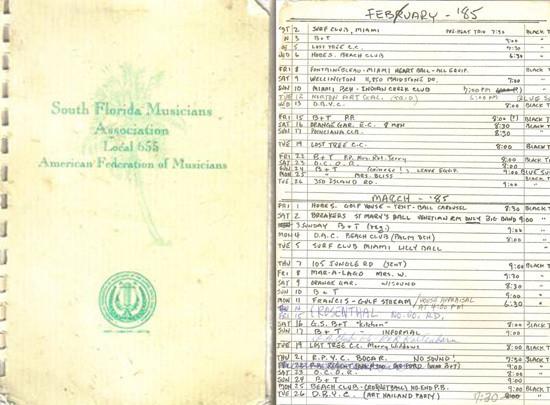 This booklet contains the names and contact information of the dues paying AFM member. 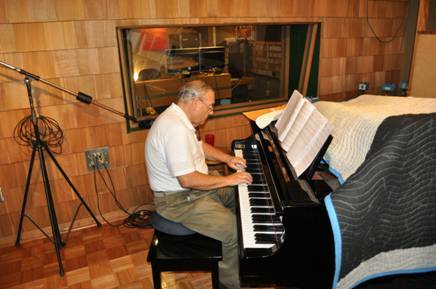 Hiring a union musician usually means that you don’t have to worry about starting on time, coming to work intoxicated, or not being able to read sheet music. 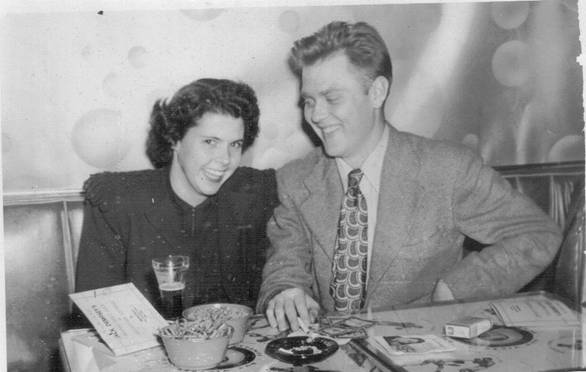 Jane Skinner, Lew DeBerry, and Ralph Skinner enjoying a smoke and a drink, about 1950. 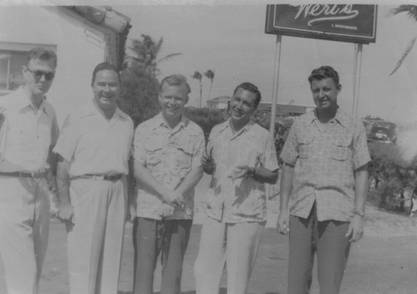 The Bobby Blake Band outside Wert’s restaurant in Palm Beach. 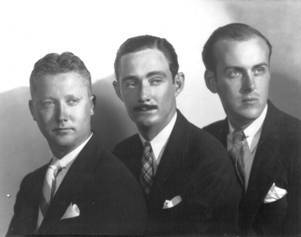 Ralph and Neal are on the left, circa 1947. 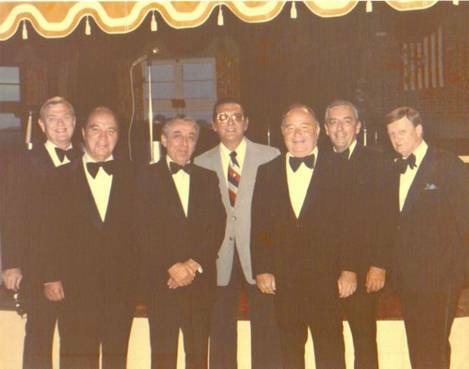 Ralph on left, Neal on right with Bobby Blake Band. 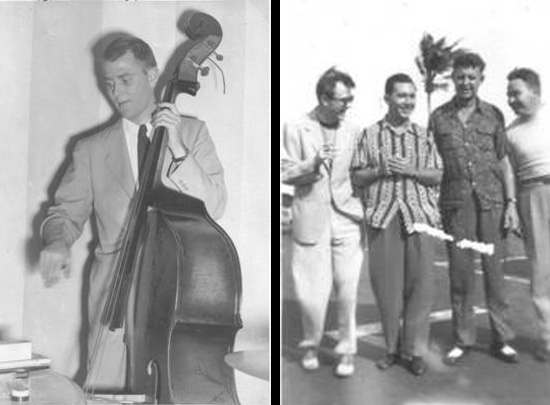 Judging by the light clothing, the wet ground, and the palm trees showing a strong wind, these photos may have been taken during hurricane season in late 1940s. 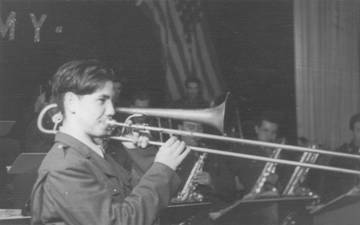 Bobby Blake band members. 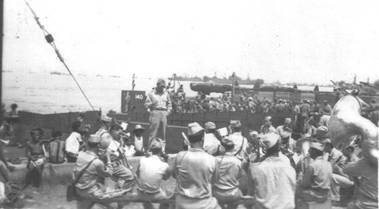 Neal on right. 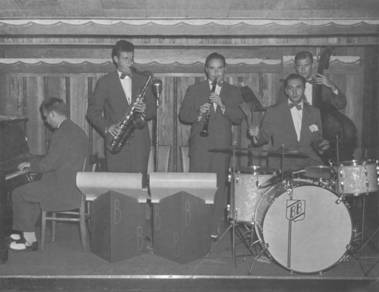 The Bobby Blake Band at Wert’s in Palm Beach about 1948. 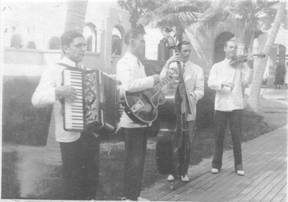 They were the house band at Wert’s in the late 1940s. 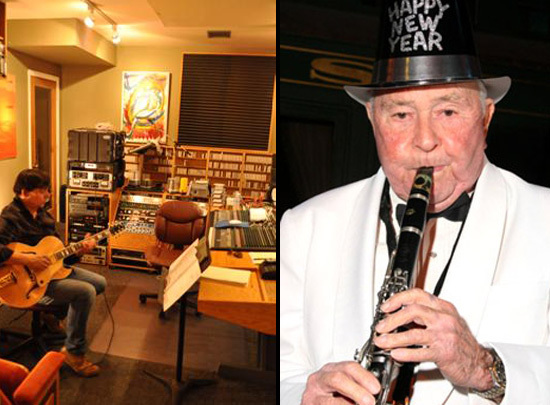 Neal Smith on clarinet and Ralph Skinner on bass. 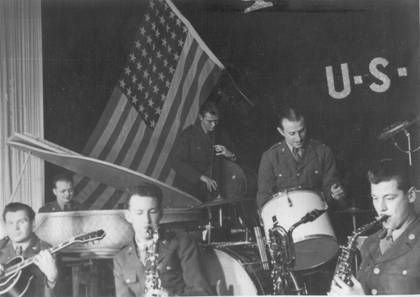 The drummer is most likely Bobby Blake. 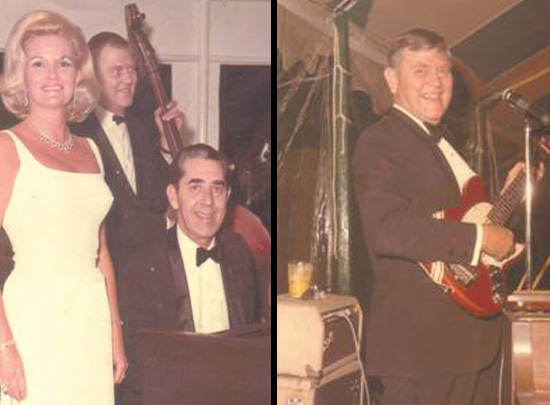 Cliff Hall on piano, Ralph on bass with Palm Beach socialite sitting with Cliff. 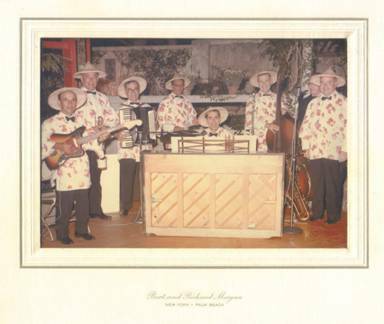 Cliff Hall band with Cliff on piano for Chinese theme. 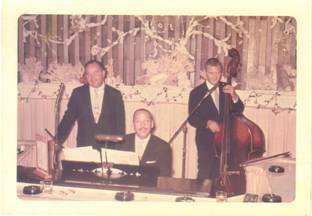 Neal Smith and Ralph Skinner with new piano player after Cliff Hall’s stroke. 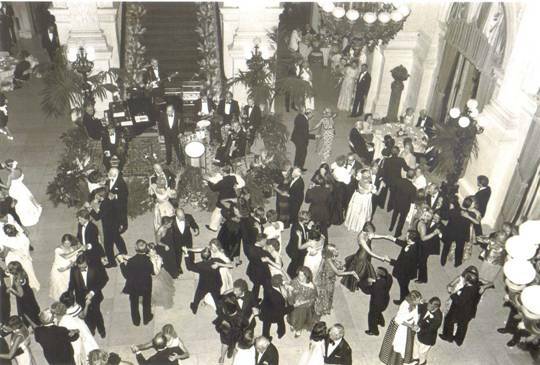 Ball at The Marble House, Newport, Rhode Island 1970s. The Marble House is a great house build in America’s guilded age. 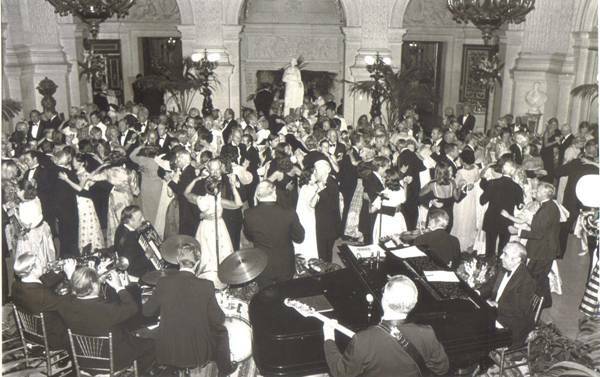 It and the Flagler Museum in Palm Beach are used for public and private occasions. There is an ongoing joke in the world of working musicians that says that they don’t get paid to play music, rather you get paid to haul your instruments and amps to and from the job. 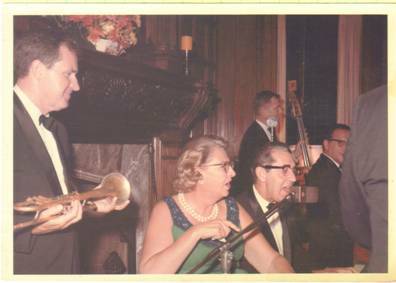 Given that Neal Smith had only a clarinet and a saxophone to carry, the work load was focused on the playing of the music. It seems they were all having a good time. 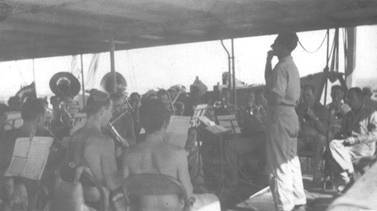 Neal on clarinet, Ralph on bass. 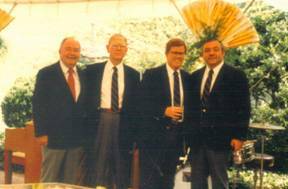 Neal Smith, Ralph Skinner, Bill Quigley, and piano player Guy Scafati, circa 1995. 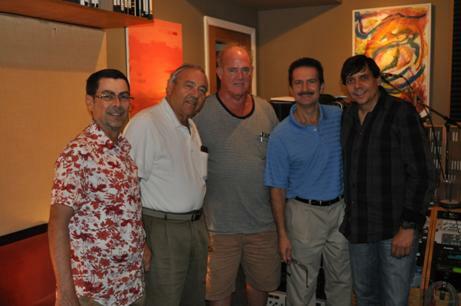 The Guy Scafati warming up at Saturn Sound Studios in West Palm Beach, July 1, 2012. 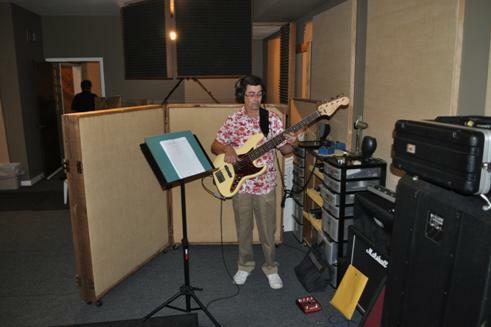 Scott Whittney on Fender jazz bass. 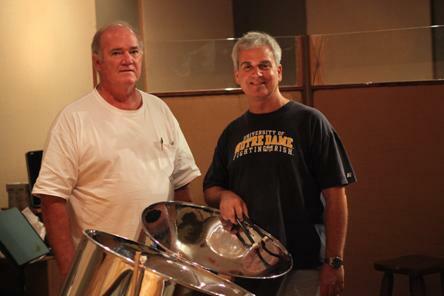 Rob Norris, owner, manager, and head technician at Saturn Sound Studios. Jill Lauri warming up for "There's a Fella Comin' Round." 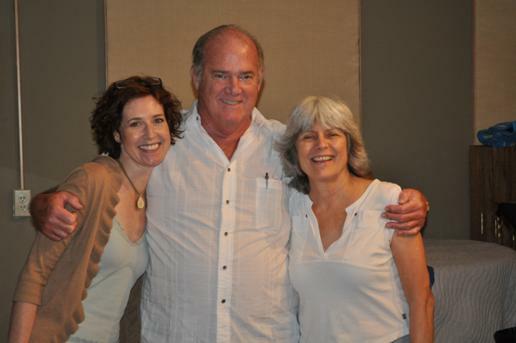 Ivan and Jill after recording “There’s A Fella Comin’ Round”. 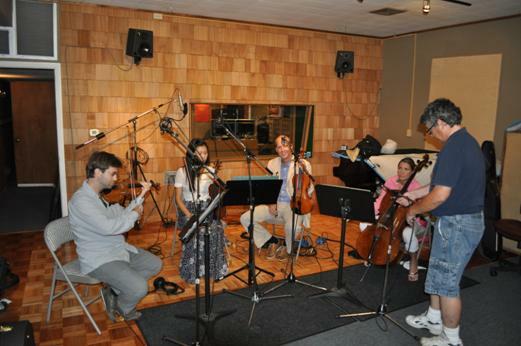 Tomas Cotik (left) and his summer quartet warming up to record “A Child’s Reflections On Kanute”. 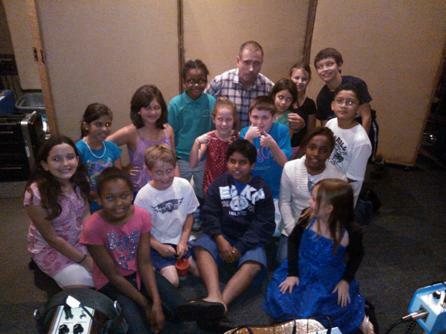 Shawn Barry of Young Singers of the Palm Beaches with selected children's voices for Conch Chowder Man and A Child's Reflections on Kanute. Check the eyes. After listening to their angelic voices, they will come to you at night in your dreams, and eat your brain. 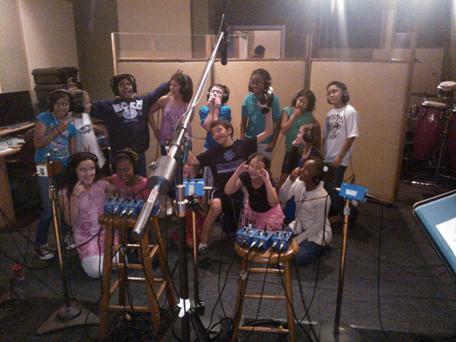 Children from the Young Singers of the Palm Beaches. 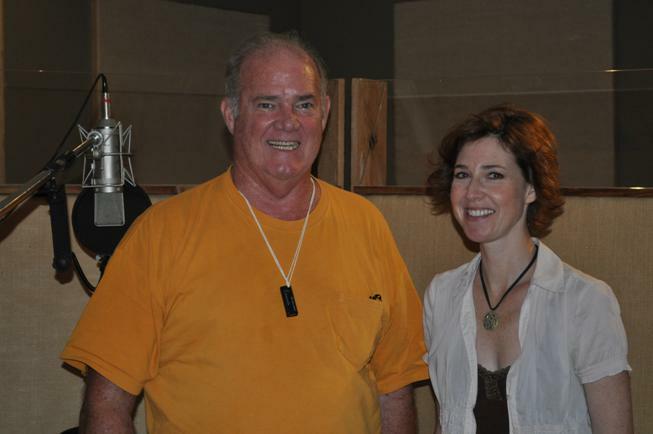 Bob Lyons, popular steel pan drum player performed a beautiful track for “Conch Chowder Man”. 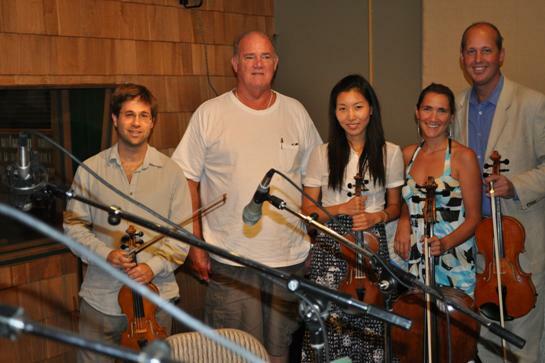 Combined with the Young Singers’ voices, this song will make you float in the air. 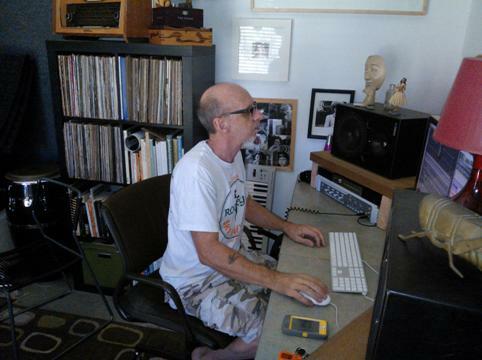 Ric Pattison in his backyard Lake Worth studio, The Shed. 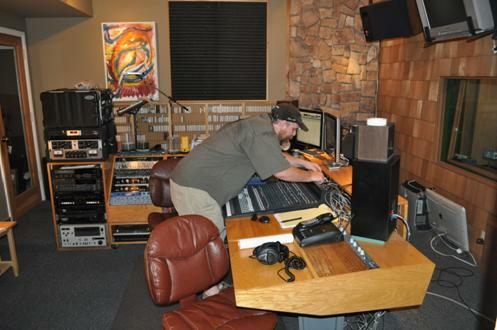 Several of the songs completed at Saturn Sound Studios were first recorded at The Shed. 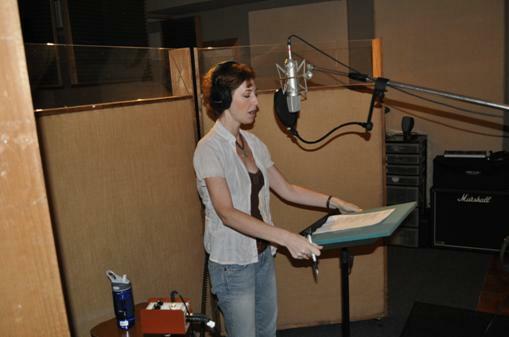 These earlier recordings will appear on a separate CD project titled "Raising The Bar."